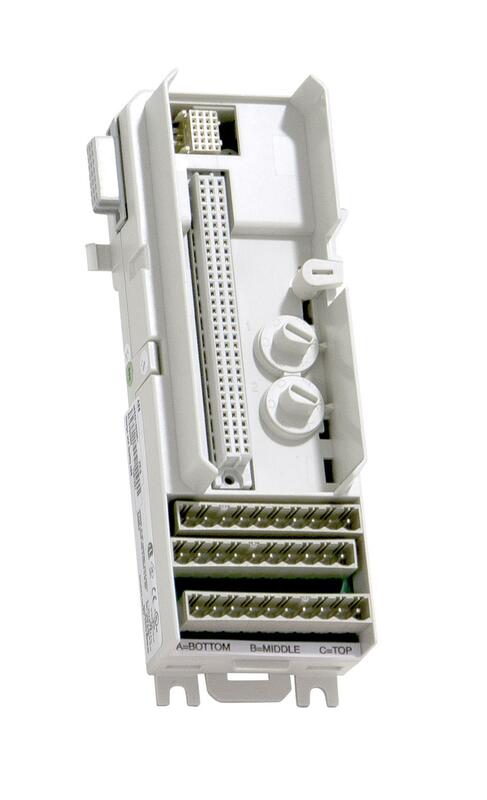 This module has 16 digital outputs. 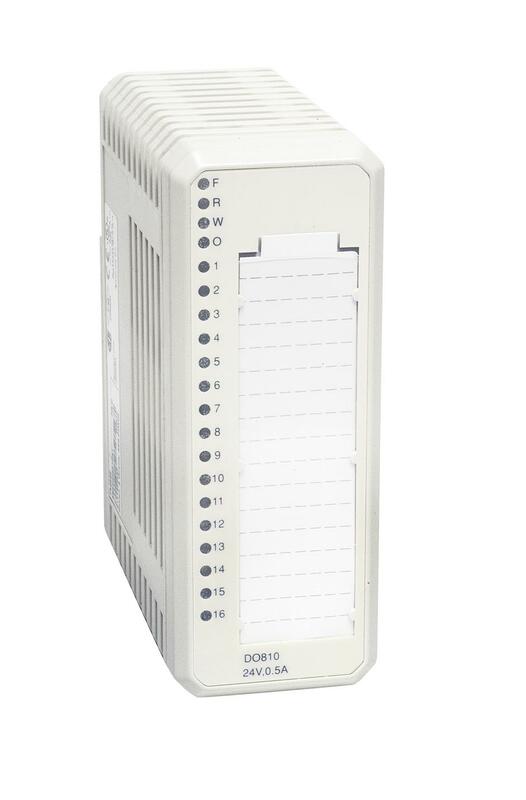 The output voltage range is 10 to 30 volt and the maximum continuous output current is 0.5 A. 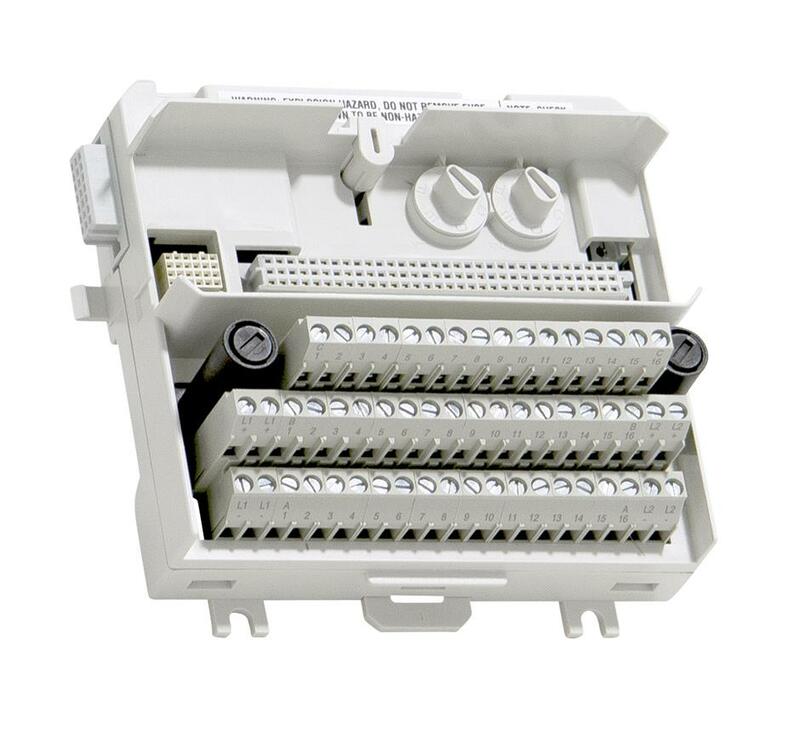 The outputs are protected against short circuits, over voltage and over temperature. The outputs are divided into two individually isolated groups with eight output channels and one voltage supervision input in each group. 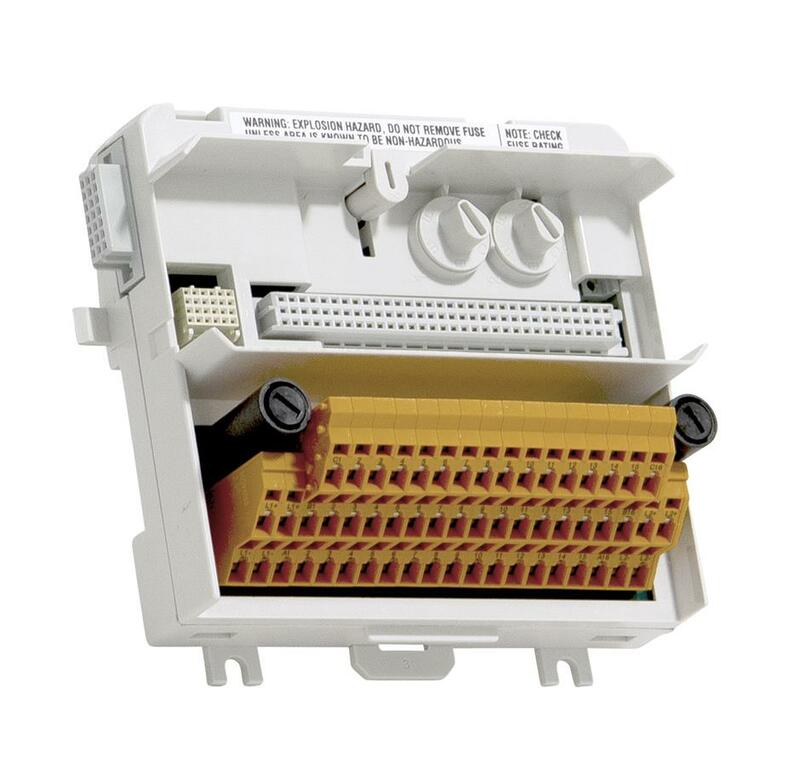 Each output channel consists of a short circuit and over temperature protected high side driver, EMC protection components, inductive load suppression, output state indication LED and optical isolation barrier. 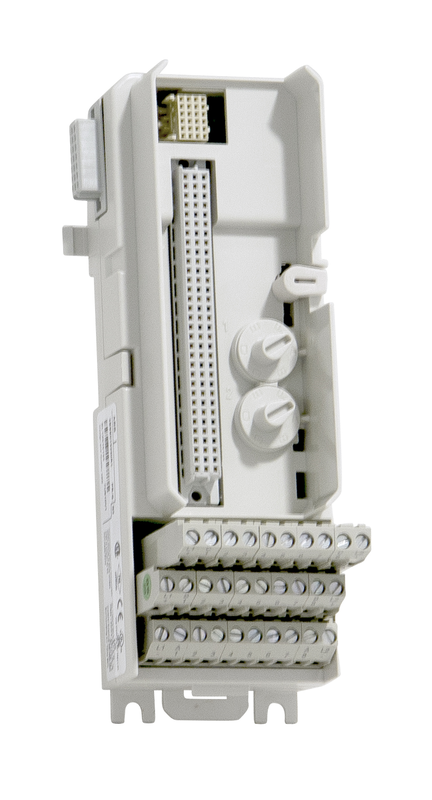 The process voltage supervision input give channel error signals if the voltage disappears.The error signal can be read through the ModuleBus. 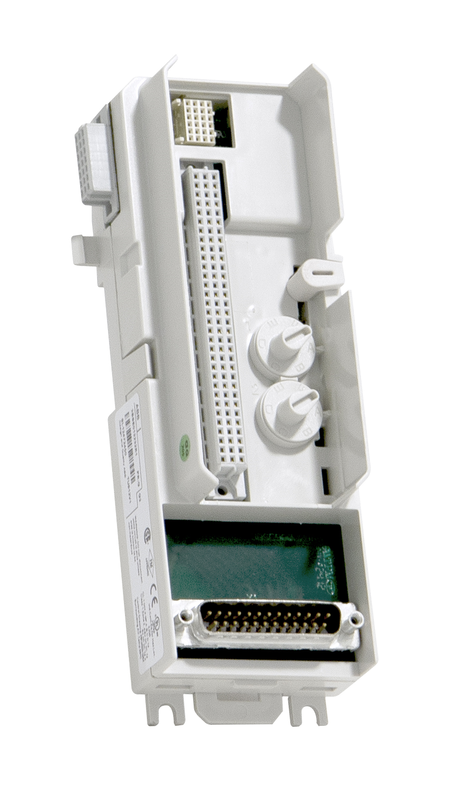 The outputs are current limited and protected against over temperature. If the outputs are overloaded the output current will be limited.